Over 30 years ago, Alejandro Faus introduced in Spain the first products derived from peat. This agricultural engineer was slowly gaining the trust of major horticultural producers in the country. Its activity increased and, therefore, in 1983 he founded Comercial Projar S.A., which initially focused its business area in marketing professional consumer products for nursery and horticulture. Afterward, due to market requirements the company transformed, achieving a more technical role and diversifying its business. Then came the environment division, which focused on environmental restoration and gardening. Shortly thereafter, Projar purchased what is currently one of the most important substrate factories of the Iberian Peninsula in Almería. In 2000 the company began working with coconut-derived products and in 2006 created its own factory in Sri Lanka. As time went by, Projar made significant investments in this area; that it currently has more than 6 production plants in Sri Lanka and India. Presently, Projar is a group of companies with a turnover of 15 million Euros per year, leading in the Iberian Peninsula (Spain and Portugal) and increasingly establishing itself in the market in over 20 countries worldwide. The Projar Group brings together a large conglomerate of companies in the green sector. The company operates with its own offices in Spain, Portugal, Brazil, India and Sri Lanka, and is present in over 20 countries around the world through its partners and distributors. Producing substrates, hydroponic solutions and raw materials for the production of substrates. Supplying products for horticultural, gardening and environmental restoration companies. Maintenance service and execution of landscape projects and environmental restoration. The primary mission of Projar is creating value for our customers. We take care of developing, manufacturing and marketing products and solutions to horticultural companies. In addition, we solve landscape and environment problems, for both public and private companies, through the development, sale and implementation of solutions and bioengineering services and landscaping. · To achieve a 10% market share in Spain, Portugal and Latin America through our hydroponic solutions and coconut substrates. · To be the leader in the Iberian Peninsula in the development and delivery of products and solutions to horticultural, gardening and environmental restoration companies. · To be the leader in the development of value-added solutions in the field of bioengineering environmental restoration. · To Join the three leading companies of Valencia in management of landscape and environment services. · Internationally we have achieved the initial objectives in Brazil and India. This is implemented with an Innovation Committee that manages the flow of information, the ideas and talent in the business. It is also responsible for leading the development of solutions, services and products. Besides, there are the figures of the Product & Solution Manager, whose work is determined by market research and competition. 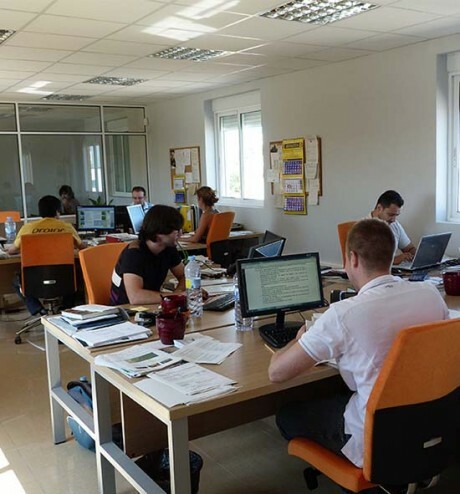 Also, part of the resources of the Operations and Marketing departments are for research in production, quality, market, customer service, packaging, etc..
One of the main assets of Projar is the team. We have highly qualified staffs that make the difference and ensure the highest quality and the highest technical capacity. 55% of the people who configure the Projar team have higher education and 17% have some form of vocational training. This indicates the importance for our company to have specialized technical personnel to meet the customer’s needs. Projar has specific career plans that include ongoing training for employees and medium-term goals. The selection and supervision of people in the company are based on a system of competencies and objectives. Projar is a group of companies with a presence in 20 countries worldwide. 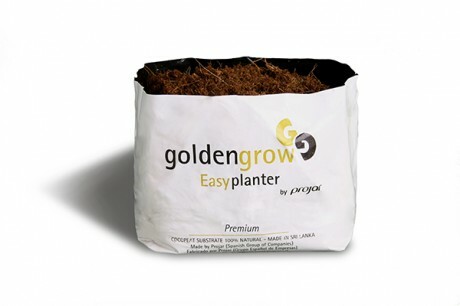 Do you have doubts about Golden Grow? Check the FAQ or contact our technicians.